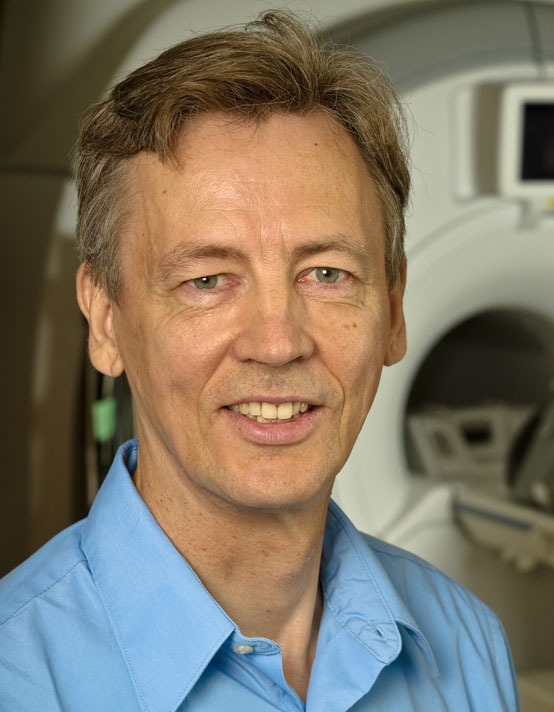 Dr. Kullervo Hynynen is director of and a senior scientist in Physical Sciences at Sunnybrook Research Institute (SRI) and the lead investigator of SRI’s Centre for Research in Image-Guided Therapeutics. He has more than 30 years’ experience developing clinical ultrasound therapy devices. Hynynen and his team have taken several ultrasound devices from ideas all the way to clinical testing. He is leading the development of the first low-intensity focused ultrasound brain device optimized to deliver therapies noninvasively past the blood-brain barrier into the human brain. 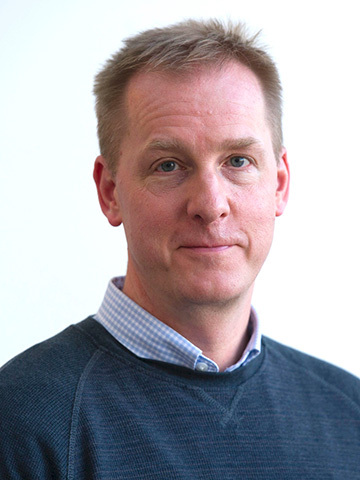 Hynynen holds the Canada Research Chair in Imaging Systems and Image-Guided Therapy, and is a professor in the department of medical biophysics at the University of Toronto. He received the 2016 Visionary Award from the Focused Ultrasound Foundation. The award recognizes a person who has helped shape the future of focused ultrasound and whose dedication has advanced the field. 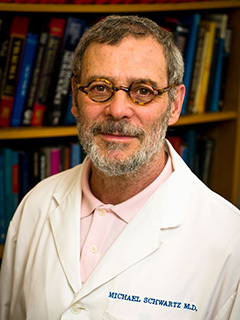 Dr. Nir Lipsman is a neurosurgeon and scientist at SRI. He helped lead Canada’s first clinical trials of focused ultrasound in essential tremor and Parkinson’s disease. He is developing trials investigating focused ultrasound in obsessive-compulsive disorder, depression and Alzheimer’s disease. These first-in-human trials, done in collaboration with Dr. Kullervo Hynynen, represent the latest advances in MRI-guided focused ultrasound. His research focuses on the development of novel neuromodulation strategies, which target sites within the central nervous system using electrical stimulation or drugs, for neurological and psychiatric conditions that are difficult to treat. Dr. Isabelle Aubert is a senior scientist and neurobiologist in the Hurvitz Brain Sciences Research Program at SRI. Her expertise is in brain regeneration. She is head of the brain repair group at SRI, which is developing therapies to stop neurodegeneration and promote regeneration in Alzheimer’s disease. She is evaluating drug therapies, immunotherapy, and gene and cell therapies for their potential in maintaining the health of the brain cells and inducing brain repair, toward restoring cognitive function. Working with Dr. Kullervo Hynynen, Aubert has demonstrated that focused ultrasound can be used to deliver therapies directly to the brain, bypassing the blood-brain barrier. She is also a professor in the department of laboratory medicine and pathobiology at the University of Toronto. Dr. Sandra Black is director of and senior scientist in the Hurvitz Brain Sciences Research Program at SRI. She is also a cognitive and stroke neurologist specializing in dementia and Alzheimer’s disease. 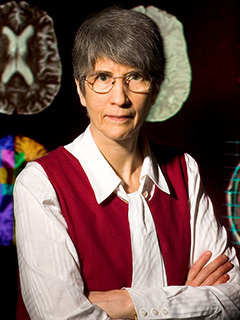 Her research focuses on the cognitive sequelae of stroke and stroke recovery, the differential diagnosis of dementia, the use of neuroimaging techniques to elucidate brain-behaviour relationships in stroke and dementia, and imaging-genetics correlations. Her work is highly influential. She has been a site investigator in more than 50 pharmaceutical clinical trials, and has led international trials in Alzheimer’s and vascular dementia. 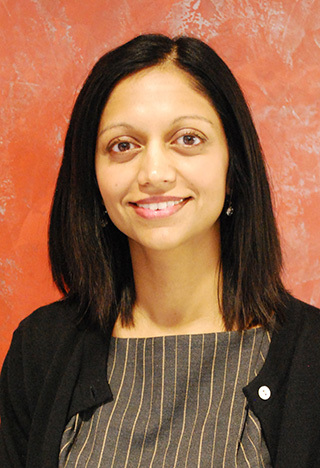 She is the executive director of the Toronto Dementia Research Alliance. She is also a professor in the department of medicine at the University of Toronto, where she holds the Brill Chair in Neurology. Dr. Greg Czarnota is director of and senior scientist in the Odette Cancer Research Program at SRI. His research focus is on using ultrasound imaging and spectroscopy at conventional and high frequencies to detect apoptosis and other forms of cell death in response to chemotherapy and radiation therapy. He is also a radiation oncologist at Sunnybrook, where he led a pilot study that showed high-intensity focused ultrasound is a safe and feasible treatment for painful bone metastases. He is an associate professor in the departments of radiation oncology and medical biophysics at the University of Toronto. Dr. Elizabeth David is an affiliate scientist in the Odette Cancer Research Program at SRI and an interventional radiologist at Sunnybrook. She has led clinical trials at Sunnybrook evaluating MRI-guided high-intensity focused ultrasound for treatment of uterine fibroids, benign growths that can cause heavy bleeding, pain and infertility. She is an assistant professor in the department of medical imaging at the University of Toronto. 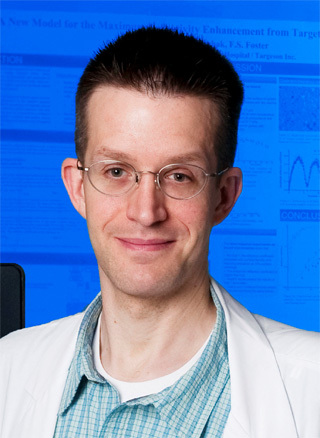 Dr. David Goertz is a scientist in Physical Sciences and a principal investigator in SRI’s focused ultrasound lab. 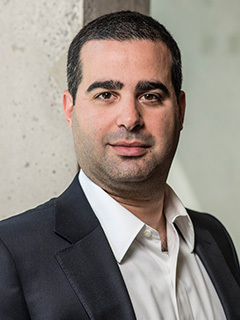 His research focuses on understanding the basic behaviour of microbubble contrast agents in response to ultrasound to help develop new imaging techniques that will optimize the safety and efficacy of therapeutic applications. He is also studying the use of microbubbles to enhance drug delivery and efficacy in tumours by examining vascular flow response to therapeutically stimulated microbubbles, and how it can be exploited to promote drug uptake. He is an associate professor in the department of medical biophysics at the University of Toronto. 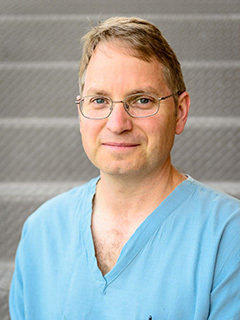 Dr. Todd Mainprize is a neurosurgeon at Sunnybrook who specializes in neuro-oncology. He is leading the world's first clinical trial assessing MRI-guided focused ultrasound for targeted delivery of anti-cancer drugs to the brain. In November 2015, Mainprize and his team successfully bypassed a patient’s blood-brain barrier using the focused ultrasound brain device that was developed by Dr. Kullervo Hynynen. He is a faculty member in the department of surgery at the University of Toronto. 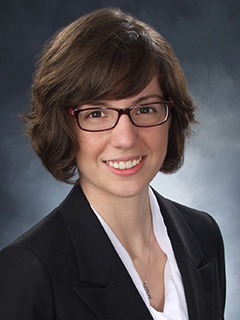 Dr. Meaghan O’Reilly is a scientist in the Holland Bone and Joint Research Program at SRI. 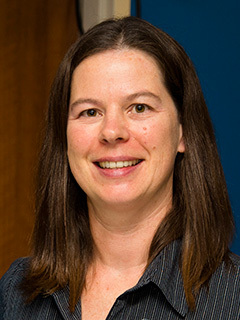 Her research focus is on developing systems and methods to deliver, monitor and control ultrasound therapy. In particular, she has studied ways to map and control microbubble activity during targeted drug delivery in the brain. Her current research is on use of focused ultrasound to penetrate the blood-spinal cord barrier for treatment of spinal cord injury and disease. She is an assistant professor in the department of medical biophysics at the University of Toronto. Dr. Michael Schwartz is a neurosurgeon and director of the neurotrauma program at Sunnybrook. His clinical and research interests focus on head injury and radiosurgery of brain tumors and vascular malformations. He is leading a clinical trial of MRI-guided transcranial focused ultrasound for treatment of medication-resistant movement disorders, including essential tremor, Parkinson’s disease and Huntington’s disease. He is a professor in the department of surgery at the University of Toronto.